1. 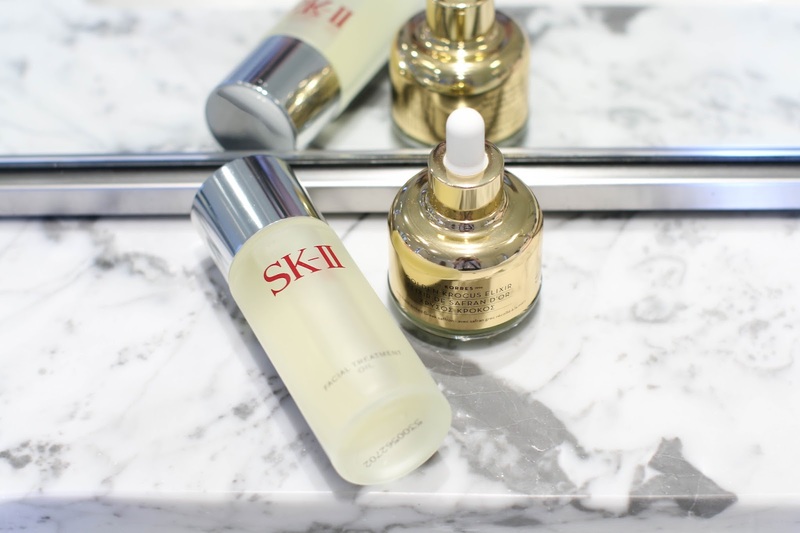 SK-II Facial Treatment Oil - Ah, the magic of Pitera. 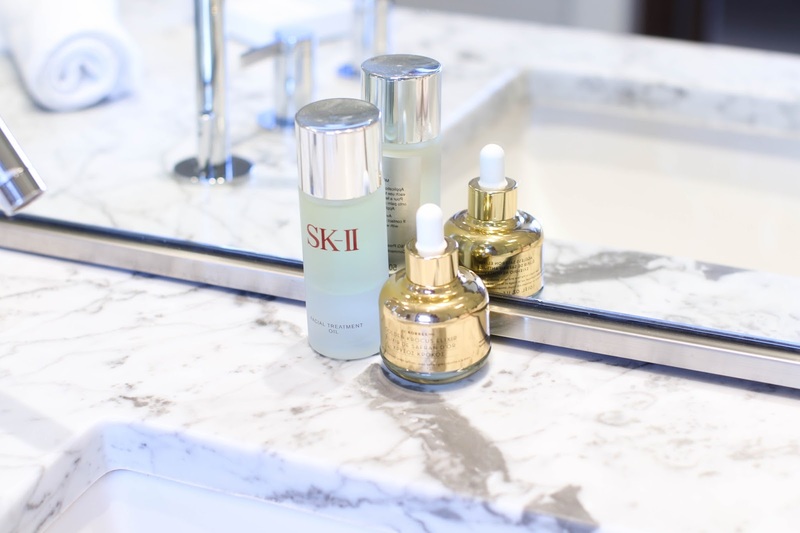 The entire SK-II range is founded on this ingredient which is rich with vitamins, amino acids and minerals designed to help the skin's rejuvenation process. Their newest launch, the facial treatment oil is one that I have been anticipating for some time. I absolutely love their iconic Facial Treatment Essence, and to have a face oil with many of the same properties seemed like a perfect addition. From the first swipe of the oil, it is insanely decadent and rich. I was worried it would be too intense or heavy for my normal to oily skin, so I tried it out a few different ways to see how it would work best. I determined that using it after cleansing and toning without any other serums or moisturizers gave my skin the best result. The oil absorbed easily and by the next morning my skin was balanced and fresh looking. The entire next day my face was less oily despite the intense heat and humidity. After a few weeks on it, I found that my skin looked hydrated, plump and firm. I think this would be an ideal oil for those looking for an anti-aging treatment that will address dryness and dehydration as well. 2. Korres Golden Krocus Elixir Serum - This new formulation from Korres is more of a serum than a traditional oil, but it still has the slip of an oil so I wanted to include in this post. The first thing that is noticeable about this elixir is the shimmer suspended in the liquid. It's absolutely stunning and settles when on the skin to look luminous and "lit from within" rather than glittery. While the SK-II is much richer in texture, this elixir absorbs almost instantly. It feels soft, smooth, hydrating and leaves no greasy residue afterwards. I've been using it at night under my moisturizer and love how my skin looks the next morning. On certain days that I am feeling a bit dehydrated, I will put it under my makeup and it makes my skin look even, fresh and radiant. I can see this being a morning staple come winter when I need ever bit of luminosity I can get. What makes this elixir different from many other serums in my collection is that it is designed for all skin types and can be a great anti-aging product to add into any routine to help address fine lines, uneven skin tone and overall give the skin a youthful glow. Though it's summer and so hot you can fry an egg (that's one of my Dad's sayings LOL), I still feel that my oily skin benefits from face oils that can help maintain a good balance on my skin. Stripping my skin of oils only makes my skin produce more and then I end up with a grease slick on my face. What face oils are you using and loving right now? Leave me a comment below!